الماسی, علی, درگاهی, عبداله, دل انگیزان, سهراب, هاشمیان, امیر حسین, نادری, مرضیه. (1395). مقایسه هزینه- اثربخشی سیستم‌های لجن فعال با سیستم‌های طبیعی تصفیه فاضلاب در استان کرمانشاه. مجله آب و فاضلاب, 27(2), 44-53. علی الماسی; عبداله درگاهی; سهراب دل انگیزان; امیر حسین هاشمیان; مرضیه نادری. "مقایسه هزینه- اثربخشی سیستم‌های لجن فعال با سیستم‌های طبیعی تصفیه فاضلاب در استان کرمانشاه". مجله آب و فاضلاب, 27, 2, 1395, 44-53. الماسی, علی, درگاهی, عبداله, دل انگیزان, سهراب, هاشمیان, امیر حسین, نادری, مرضیه. (1395). 'مقایسه هزینه- اثربخشی سیستم‌های لجن فعال با سیستم‌های طبیعی تصفیه فاضلاب در استان کرمانشاه', مجله آب و فاضلاب, 27(2), pp. 44-53. الماسی, علی, درگاهی, عبداله, دل انگیزان, سهراب, هاشمیان, امیر حسین, نادری, مرضیه. مقایسه هزینه- اثربخشی سیستم‌های لجن فعال با سیستم‌های طبیعی تصفیه فاضلاب در استان کرمانشاه. مجله آب و فاضلاب, 1395; 27(2): 44-53. برای امکان‌سنجی اقتصادی بودن تصفیه‌خانه‌های فاضلاب، روشی مورد نیاز است که این سیستم‌ها را از نظر هزینه-اثربخشیمورد بررسی قرار دهد. این مطالعه با هدف ارزیابی هزینه‌بری و اثر بخش بودن سیستم‌های تصفیه فاضلاب موجود در استان کرمانشاه صورت گرفت. مطالعه از نوع توصیفی- تحلیلی بوده و اطلاعات مربوط به تصفیه‌خانه‌ها از شرکت‌های آب و فاضلاب و بهره‌برداران تصفیه‌خانه‌ها جمع‌آوری شد و با استفاده از برنامه آماری SPSS مورد تجزیه و تحلیل قرار گرفت. تمام هزینه‌ها و راندمان فرایندهای تصفیه بررسی شد و شاخص هزینه- اثربخشی برای آن‌ها محاسبه شد و سیستم‌ها از نظر این نسبت با هم مورد مقایسه قرار گرفتند. نتایج مطالعه نشان داد که میانگین راندمان کل پارامترهای مورد بررسی در این مطالعه، برای سیستم‌های لجن فعال و طبیعی به‌ترتیب 35/76 و 69/61 درصد به‌دست آمد. همچنین تفاوت میانگین راندمان کل در دو سیستم از نظر آماری معنی‌دار بود. میزان هزینه– اثربخشی در این سیستم‌ها نیز به‌ترتیب برابر 23/0 و 58/0 به‌دست آمد. با توجه به نتایج می‌توان گفت که سیستم‌های طبیعی تصفیه فاضلاب با وجود راندمان پایین‌تر نسبت به سیستم‌های لجن فعال دارای هزینه- اثربخشی بهتری هستند که نشان‌دهنده برتری سیستم‌های طبیعی است و مهم‌ترین عامل در این موفقیت را می‌توان به هزینه‌های سرمایه‌گذاری و بهره‌برداری پایین‌تر نسبت به سیستم‌های لجن فعال نسبت داد. To determine the economic feasibility of wastewater treatment plants requires methods to determine their cost/effectiveness ratio. The objective of the present descriptive analytical study was to determine and compare the cost/effectiveness ratios of two types of wastewater treatment systems operating in Kermanshah Province. For this purpose, data and information on the wastewater treatment plants under study were collected from both local water and sewage companies and treatment plant operators. The data were then subjected to statistical analysis using the SPSS software program. All the costs assoiated with the erection and operation of the treatment processes were analyzed and plant efficiencies were determined to work out the cost/effectiveness index for each plant as a basis for comparisons. Average values of overall efficiency determined from the mean values of total suspended solids, biochemical oxygen demand, and chemical oxygen demand removals in both activated sludge and natural systems were found to be 76.37±18.19% and 61.69±19.0%2, respectively. Also, the two systems were found to be significantly different with respect to their overall efficiency. Moreover, the cost/effectiveness ratios obtained for the two activated sludge and natural systems were 0.23 and 0.58, respectively. Based on the results obtained, it may be claimed that, despite their lower efficiency, natural treatment systems outperform activated sludge ones due to their higher cost/effectiveness ratio, which makes them superior to the activated sludge process. Natural treatment systems owe their superiority to their lower investment, operation, and maintenance costs. 1. Mekala, G.D., Davidson, B., Samad, M., and Boland, A.M. (2008). “A framework for efficient wastewater treatment and recycling systems.” International Water Management Institute (IWMI), Colombo, Sri Lanka,10-20. 2. Giurco, D., Bossilkov, A., Patterson, J., and Kazaglis, A. (2011). “Developing industrial water reuse synergies in Port Melbourne: cost effectiveness, barriers and opportunities.” J. of Cleaner Production, 19(8), 867-876. 6. Elliott, R., and Payne, K. (2005). Essentials of economic evaluation in health care, Pharmaceutical Press, UK. 7. Hernandez Sancho, F., Molinos Senante, M., and Sala Garrido, R. (2011). “Cost modelling for wastewater treatment processes.” Desalination, 268(1-3), 1-5. 8. Rodriguez, Garcia, G., Molinos Senante, M., Hospido, A., Hernández Sancho, F., Moreira, M.T., and Feijoo, G. (2011). “Environmental and economic profile of six typologies of wastewater treatment plants.” Water Research, 45(18), 5997-6010. 9. Benedetti, L., Bixio, D., and Vanrolleghem, P.A. (2006). “Assessment of WWTP design and upgrade options:Balancing costs and risks of standards’ exceedance.” Water Science and Technology, 54(6,7), 371-378. 10. Almasi, A., and Pescod, M.B. (1996). “Pathogen removal mechanisms in anoxic wasewater stabilization ponds.” Water Science and Technology, 33(7), 133-140. 11. Almasi, A., and Pescod, M.B. (1996). “Wastewater treatment mechanisms in anoxic wastewater stabilization ponds.” Water Science and Technology, 33(7), 125-132. 16. 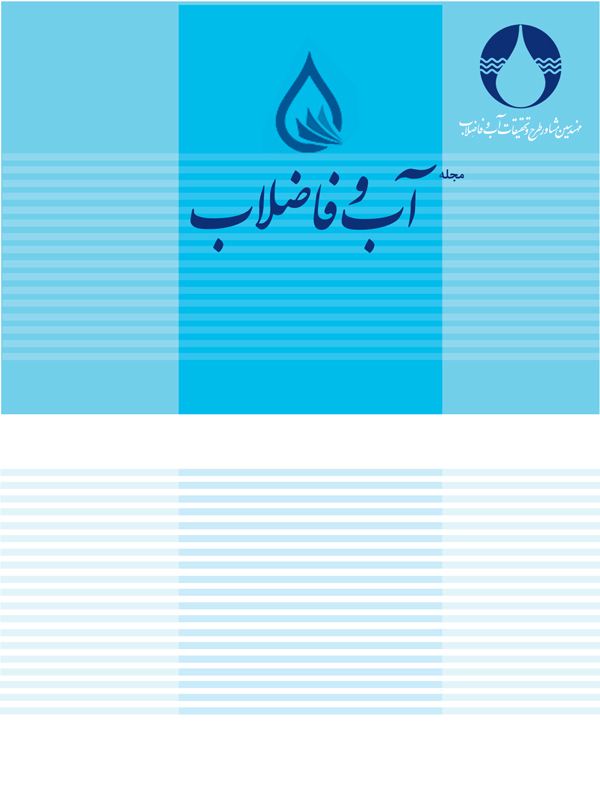 Dargahi, A., Almasi, A., Mahmoodi, M., and Khamootian, R. (2012). “Performance of the facultative stabilization pond in removing phenol from oil refinery effluent.” J. of Water and Wastewater, 25-6 (94), 114-121. 17. Hernández Sancho, F., and Sala Garrido, R. (2009). “Technical efficiency and cost analysis in wastewater treatment processes: A DEA approach.” Desalination, 249(1), 230-234. 18. Benedetti, L., Bixio, D., and Vanrolleghem, P.A. (2006). “Benchmarking of WWTP design by assessing costs, efﬂuent quality and process variability.” Water Science and Technology, 54(10), 95-102. 19. Mannino, I., Franco, D., Piccioni, E., Favero, L., Mattiuzzo, E., and Zanetto, G. (2008). “A cost-effectiveness analysis of seminatural wetlands and activated sludge wastewater-treatment systems.” Environmental Management, 41,118-129. 20. Yuan, Z., Jiang, W., Bi, J. (2010). “Cost-effectiveness of two operational models at industrial wastewater treatment plants in China: A case study in Shengze town, Suzhou City.” J. of Environmental Management, 91(10), 2038-2044. 21. Yuan, Z., Zhang, L., and Bi, J. (2010). “Which is more cost-effective? A comparison of two wastewater treatment models in China–Singapore Suzhou industrial park, China.” J. of Cleaner Production, 18(13), 1270-1275. 22. Sipala, S., Mancini, G., and Vagliasindi, F.G.A. (2005). “Development of a web-based tool for the calculation of costs of different wastewater treatment and reuse scenarios.” Water Science and Technology, Water Supply, 3 (4), 89-96. 23. Chen, H., and Chang, N. (2002). “A comparative analysis of methods to represent uncertainty in estimating the cost of constructing wastewater treatment plants.” J. of Environmental Management, 65, 383-409. 24. Verberne, A.J.P., and Wouters, J.W. (1993). “Membraanfiltratie voor de drinkwaterbereiding: Economische optimalisatie van ontwerpparameters.” H2O, 26(4), 383-387. 25. Bruggen, V.D., Everaert, K., Wilms, D., and Vandecasteele, C. (2001). “Application of nonofiltration for removal of pesticides, nitrate and hardness from ground water: Rejection properties and economic evaluation.” J. Membr Sci., 193 (2), 239-248. 26. Ovnaqh, M. (1995). “Classification of environmental sensitivity maps.” Journal of Agricultural Sciences and Natural Resources, 3 (2), 9-28. 27. Colmenarejo, M.F., Rubio, A., Sánchez, E., Vicente, J., García, M.G., and Borja, R. (2006). “Evaluation of municipal wastewater treatment plants with different technologies at Las Rozas, Madrid (Spain).” J. of Environmental Management, 81(4), 399-404. 28. Sperling, M.V. (2007). Biological wastewater treatment, Vol. 3 : Waste stabilisation ponds, IWA Publishing, New Delhi. 29. Almasi, A., Sharafi, K., Hazrati, S., and Fazlzadehdavil, M. (2013). “A survey on the ratio of effluent algal BOD concentration in primary and secondary facultative ponds to influent raw BOD concentration.” Desalination and Water Treatment, 53 (13), 3475-3481. 34. Molinos Senante, M., Hernández Sancho, F., and Sala Garrido, R. (2010). “Economic feasibility study for wastewater treatment: A cost–benefit analysis.” Science of The Total Environment, 408(20), 4396-4402.